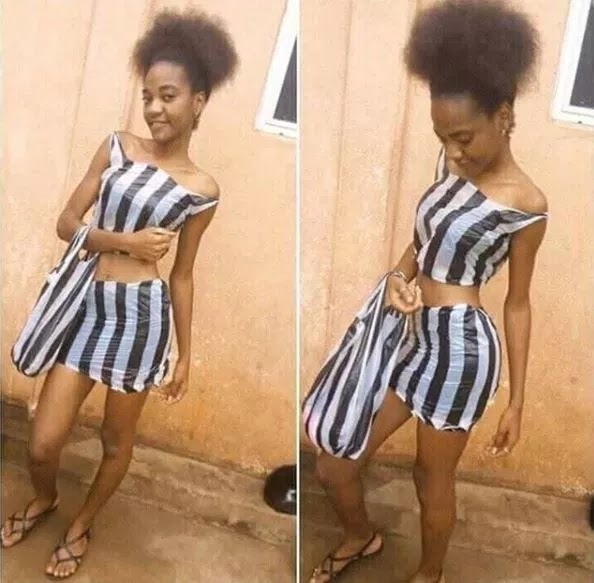 A light-skinned slay Queen is currently trending online after she took to her social media account to share photos of herself rocking a makeshift cloth made out of nylon bags. 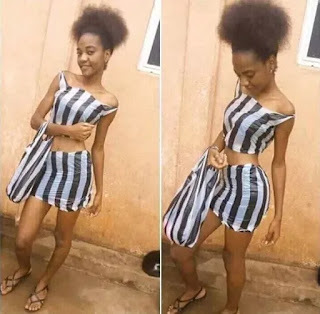 This young light-skinned lady who became internet sensation after she shares photo of herself rocking a transparent nylon cloth has continued to attract attention on social media after boldly wearing this in public and also taking photographs with it. We know Nigerians can be creative in the stupidest of ways but this isn't a welcoming ideal. What do you think about this?